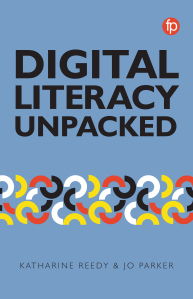 He developed these ideas further in a recent chapter in the book published earlier this year by Facet, Digital Literacy Unpacked. It is edited by Jo Parker and Katharine Reedy from the Open University and Chris’s chapter will shortly be available from the Facet website on open access. It’s not particularly novel to think about copyright as part of a wider set of skills that students need when finding, using and managing information. However, I think attempts to embed copyright specifically into the school curriculum can be met with a lukewarm attitude by teachers and librarians. It can be difficult for those who sometimes don’t know that much about how copyright works themselves, to support students effectively. They may be unsure whether images or other content found on the internet can be used by teachers and students in schools. However, they are also faced with a challenging task of making this accessible and relevant to students and also to the subjects they are studying. In fact there are a whole set of resources on the Cracking Ideas website, produced by the UK’s Intellectual Property Office. Similarly copyrightuser.org have produced a set of resources for A Level Media Studies. And a few years ago Chris wrote a guide to Copyright and Intellectual Property which forms part of a series of Research Smarter guides aimed at schools entering the TeenTech competition. These resources should hopefully give teachers so ideas. However, we hope our workshop will be an opportunity to share some copyright literacy with school teachers and librarians, to find out about the websites they already use for sourcing images in teaching and to help support them in this process. In addition to openly licensed resources we will highlight some of the licensed image collections available to teachers from JCS Online Resources such as the Artstor Digital Library and the Fashion Photography Archive. We hope to see some of you at the conference and we’ll be sharing our slides from the event on the blog. 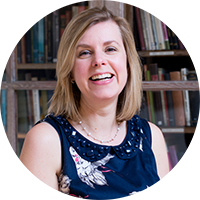 This post was first published on Copyrightliteracy.org by Jane Secker on 12 November 2018. See the original post here. Republished with permission.